Picasso and Barcelona have always gone hand in hand and that's why this tour will offer you the opportunity to discover the close tie between them. The Gothic Quarter and the Picasso Museum tour will make you enjoy the hidden places and the very best narrow streets of the city. 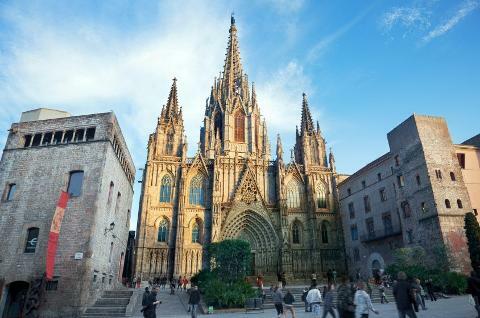 Façade of the Cathedral: The Gothic Cathedral was started in the 13th Century and finished 6 centuries later. We'll also show you the remains of the Roman Wall at Plaça Ramon Berenguer. 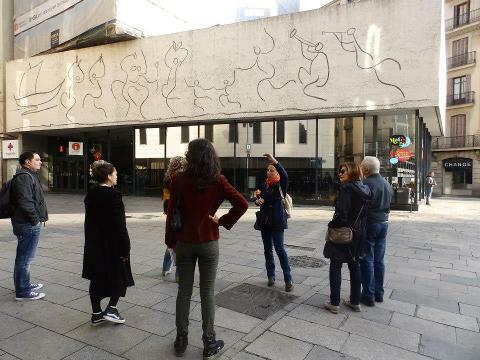 Picasso Museum (45 minutes guided visit + free time): Skip the line and be inspired by the first steps of Pablo Picasso as an artist. The museum will probably be the key to start knowing the development of this artist. You will find his full unfolding up to the Blue Period, an important representation of works from 1917, the series of Las Meninas (1957) and a comprehensive print collection. Housed in 5 medieval palaces and inaugurated in 1963 at the expressed wish of the artist, the museum has a collection of 4,200 pieces of art. Plaça del Rei (King’s Square): a medieval marvel with the Tower of King Martí, 5 floors high which was built in 1555; Santa Àgata’s chapel (15th Century) and the Saló del Tinell (1359-1362). It is said that the Catholic monarchs, Fernando and Isabel, received Columbus here on his return from America. 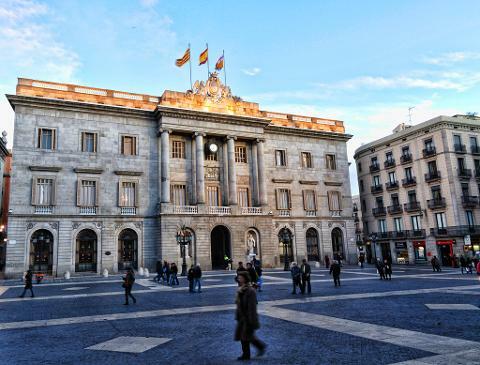 Plaça Sant Jaume: This square is the centre of the city’s political activity with the City Hall facing the Palau de la Generalitat, the seat of the Autonomous Catalan Government. Historically, the city’s two major Roman roads crossed here: the Cardo and the Decumanus. 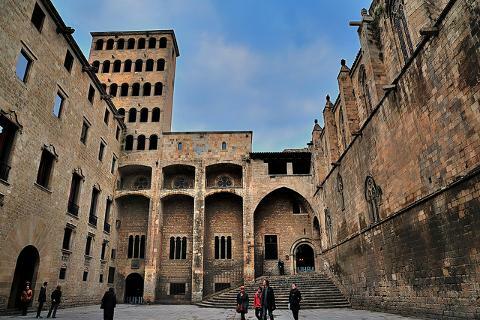 The tour will end at Plaça Sant Jaume in the Gothic Quarter. It is a 2 minute walk to La Rambla, so you can stay and wonder around or return to Plaça Catalunya. Our guide will give you all the orientations you may need. 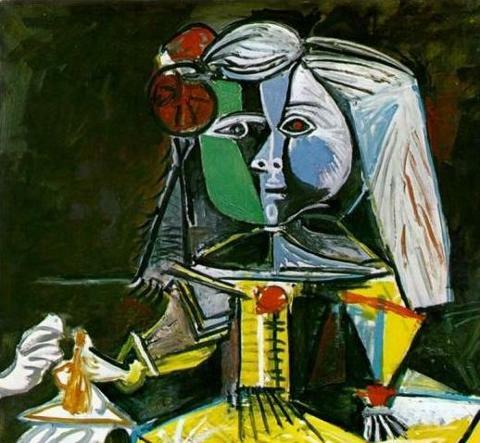 You will discover the series of Las Meninas by Picasso. 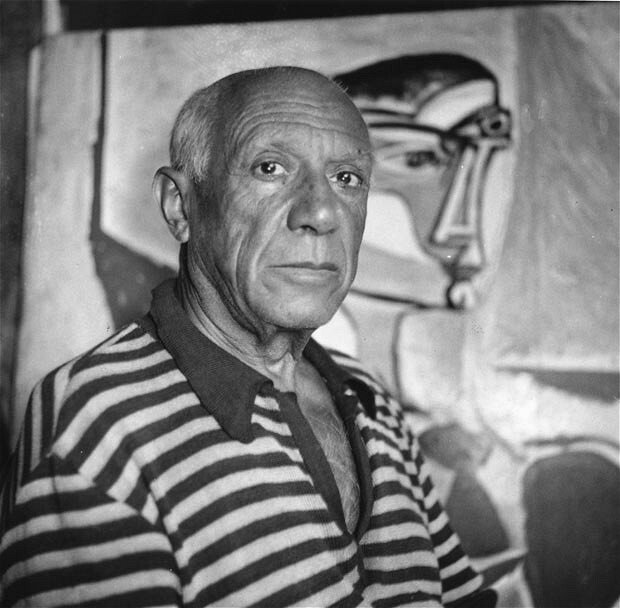 You will walk directly to the Picasso Museum and enter before the crowd arrives. Follow the whole story easily as the guide talks through the radio-guide whisper system and you can hear everything perfectly with your earphone. This tour includes some walking. The tour ends at the Plaça de Sant Jaume in the Gothic Quarter. 2 minutes from the Rambla, you’ll stay or return to Plaça Catalunya. Our guide will give you all the guidance you need.